The Ashby St Ledgers estate where the Gunpowder Plot was hatched is on the market for £19,250,000. 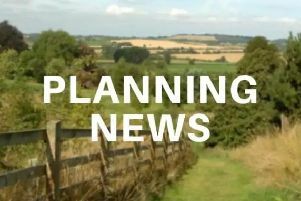 Carter Jonas has been appointed to sell the farming estate, which extends to approximately 1,835 acres. The Ashby St Ledgers Estate has a long history belonging to the Catesby family, one of whom, Robert Catesby, was at the centre of the Gunpowder Plot. At this time the estate included Ashby St Ledgers Manor, situated within the village, where Catesby conceived the Gunpowder Plot with his fellow conspirators in 1605. The estate also later included a second magnificent house, Ashby Lodge, which was built around 1722 but was demolished in the 1920s, and now only the stable cottage of which remains (in Lot 3). Jasper Feilding, Head of Carter Jonas’ London Country Department, said: “This is a tremendous opportunity to purchase a substantial block of commercial agricultural land situated in the heart of England. The estate offers high quality agricultural facilities and substantial accommodation. With four lots on offer of varying sizes, the sale of Ashby St Ledgers Estate offers flexibility and diversity for purchasers. The estate is available as a whole at £19,250,000, or in four lots at £8,400,000, £3,950,000, £6,750,000 and £150,000 respectively, through Carter Jonas, www.carterjonas.co.uk. Lot 2, Ashby Grange Farm, comprises 347.30 acres of mainly arable land and Ashby Grange Farmhouse, a spacious, well-appointed farmhouse built in 2007. Lot 3 consists of 652.34 acres of mainly pasture land, 445 acres of which are capable of being ploughed. There is a three bedroom period farmhouse, Chapel Farmhouse, and three bedroom cottage. Stable Cottage enjoys views over mature parkland and a fourteen acre lake that was landscaped for Ashby Lodge, and offers the potential for redevelopment or extension to create a principal house on the estate. Lot 4 is a paddock of 12.5 acres which is situated in the middle of the village.